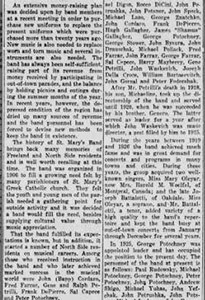 Here are two photos of St. Mary's Band, taken sometime between 1906 and 1920. 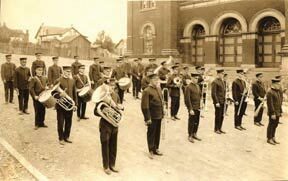 One photo is a formal group photo on the church steps, while the other shows the band in marching formation on Fern street. 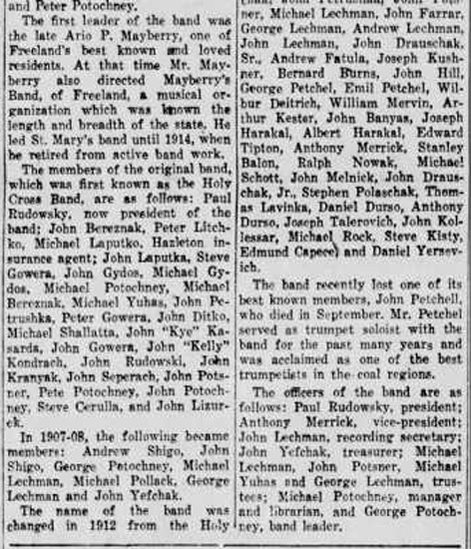 Two men have been identified so far. 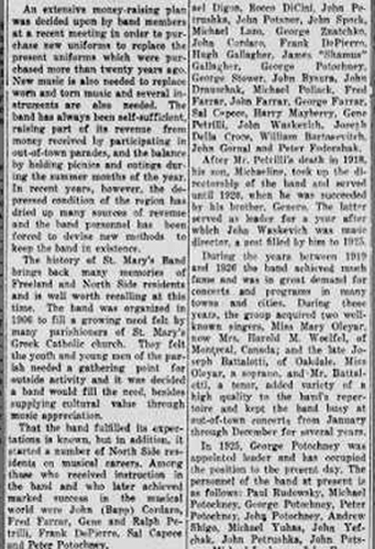 Lorraine Potochney wrote: "Michael Potochney, one of the founders of St. Mary's Church and owner of a bottling company in Freeland, is carrying the sousaphone horn in these pictures. 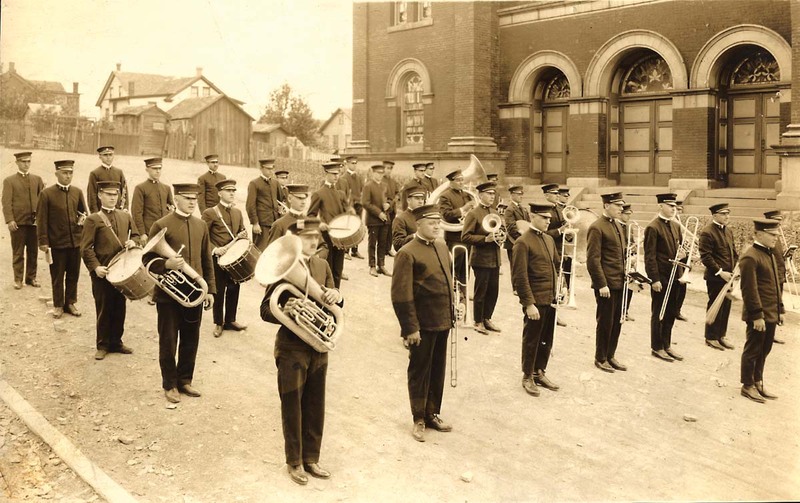 The sousaphone was created by John Phillips Sousa specifically for marching bands." 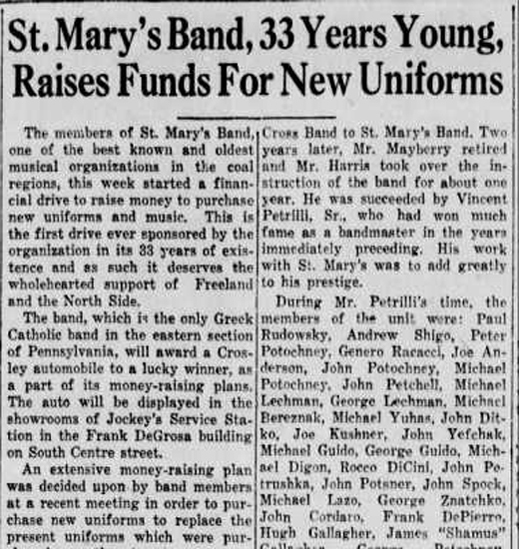 And John Pollack wrote: “You asked for help in identifying the members of the St. Mary’s Band. 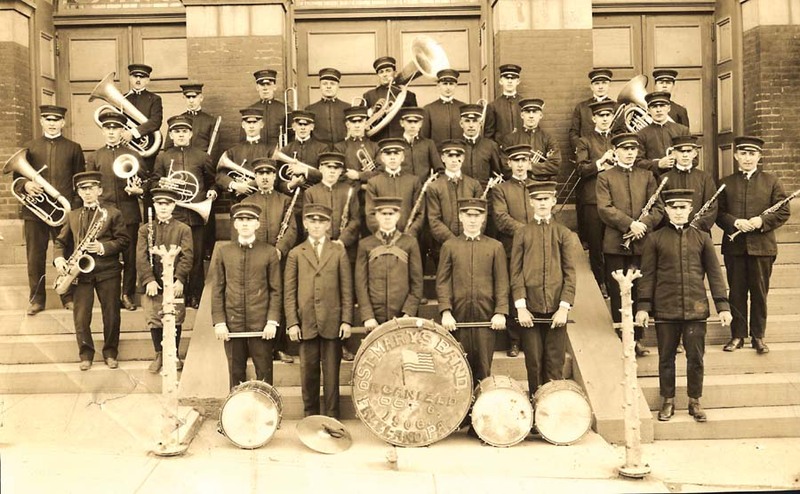 In the photo where the band is standing on the church steps, the saxophone player in the second row left is my grandfather, Mike Pollack. 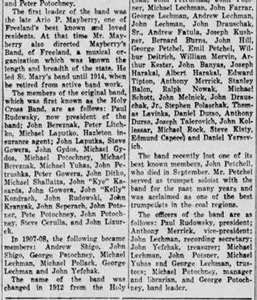 Credits: Thank you to the family of Michael Potochney, through whose courtesy these two photos of St. Mary's Band were provided. 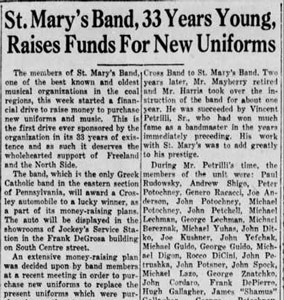 Thank you to John Pollack for additional information and the 1939 article.